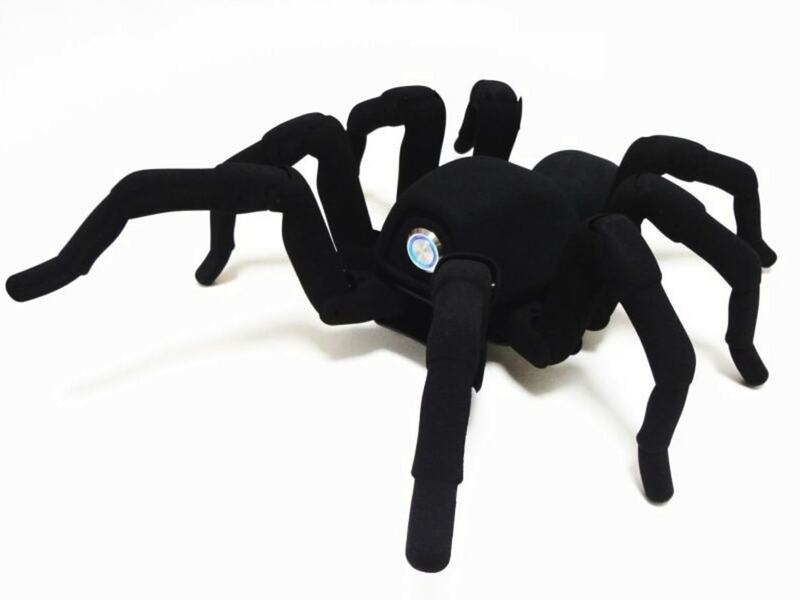 Arachnid fanciers rejoice, you can now bring a spiderbot home. OK, perhaps it isn't as terrifying as the all-terrain Mantis which can seat (and perhaps eat?) a human. Maybe it lacks the sting of the scorpion bot, which raises its "tail" if it senses approaching hands. But walk this bot up to a skittish arachnophobe and you'll see the textbook definition of "squeamish." Still, it's no fair, because all this bot wants to do is shake a leg (or eight). 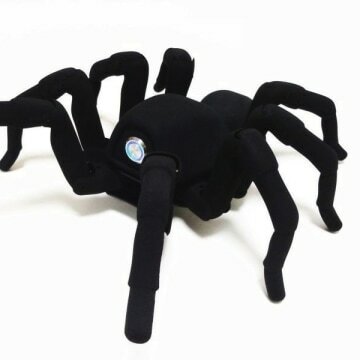 T8, a shoe-box-sized robot built by a Hong Kong company called Robugtix, is covered in some faux-spider bug skin for added creep-factor. T8 is driven by 26 motors — 3 in each leg (that's 24) and two in the abdomen, tucked into its 3-D-printed hard casing. The movements in the introductory video were designed to show off the range of motions the robot is capable of, Andres Han, 29-year-old co-founder of Robugtix, told NBC News. "We were trying to teach it how to boogie," Billy Han, his brother and co-founder, who is 33, joked. But he's only half-kidding: This robobug can kick its front legs up in the air, squat, stretch, lean to the left, lean to the right and pull off some pretty slick dance moves, as you'll see in the YouTube video above. The robot is meant to serve as an educational tool for middle school or high school kids, the Hans, who live in Hong Kong, explained. "The robots are designed so that anyone can use them whether you have coding experience or not," Billy Han said, "We're simplifying what you can do to make a legged robot move." Besides that, we imagine the robot could also come in handy in the scaring of unwanted human house guests (particularly ones named Ron Weasley). Robugtix is also selling a cheaper, 6-legged cousin of the T8, named Iitsii. It doesn't look quite as finished as T8, but wait till you see it do the crab walk. Powered by 18 motors, it will walk in straight lines, curved paths, and spin at the same spot. According to the Robugtix website, T8 is now available for pre-order for a cool $1,350, and will be unleashed sometime in September. The $250 Iitsii can be climbing your way as early as August 31. This post was updated at 7:30pm Eastern Time to include comments from Andres and Billy Han. Nidhi Subbaraman writes about technology and science. Follow her on Facebook, Twitter and Google+.